I've been enjoying all the clothes I've been making/embellishing/upcycling lately. It makes me happy to see the kids wearing them...and I'm especially pleased with how applique turned out. The skirt is made out of stretch denim from some old jeans of mine that wore out. They're very similar to the skirt I made for Firecracker earlier, and I'll have a better tutorial for the skirts up soon I hope. 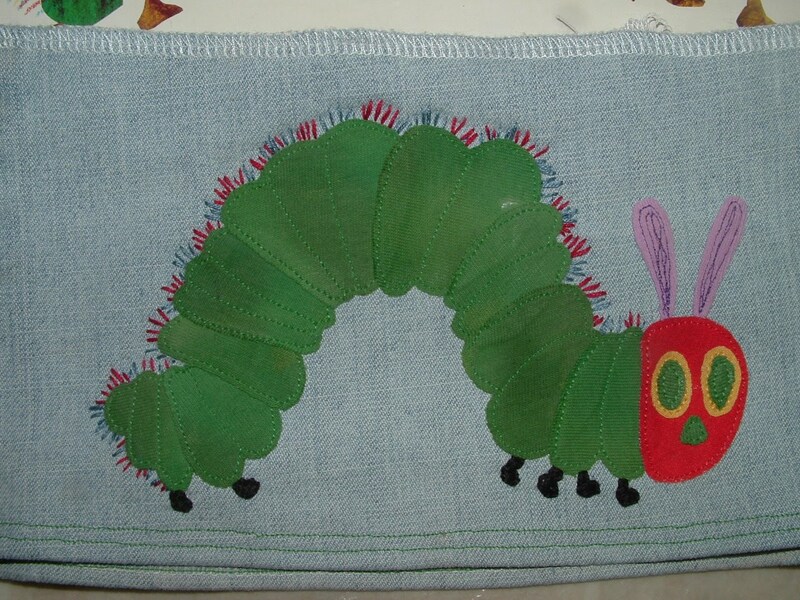 I thought I'd start with the applique though, because you could put this on just about anything and it would work for a boy or a girl. 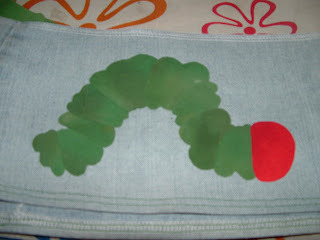 I chose the Very Hungry Caterpiller because that's the kind of cake I made for Sweet Pea's first birthday. For the pattern, I started with a coloring page I found on the internet. 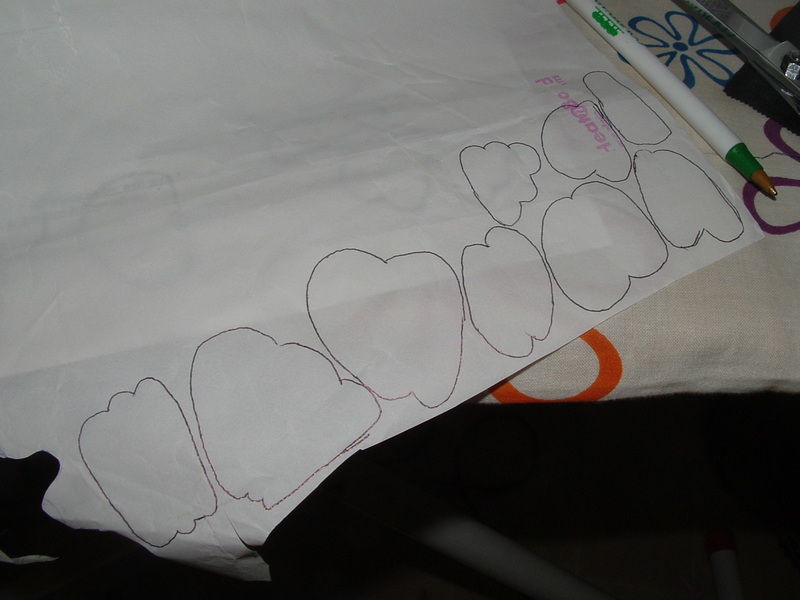 Then I simpliefied the pattern a bit and came up with this for the pieces that I actually needed to cut out of the fabric. I wanted the fabric to have a painted looks similar to the pictures in Eric Carle's books, so I started with the fabric left over from shortening and ruffling the sleeves on a shirt I fixed up for Firecracker a while ago. I opened up the sleeves and painted them with watered down acrylic paint. (That Artist Woman uses this technique to paint fabric in several projects on her blog. It's genious!) 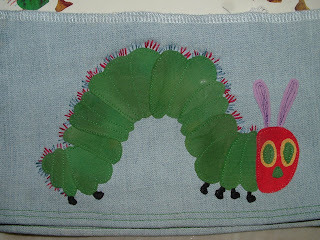 You could skip the painting step to make this simpler and your caterpillar would still look good. 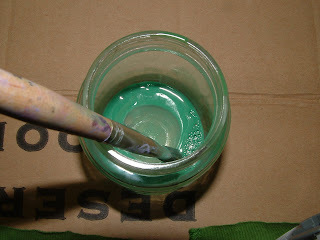 You mix a dallop of acrylic paint with just a little bit of water. I did this with a couple different shades of green paint, and it ended up looking like this. 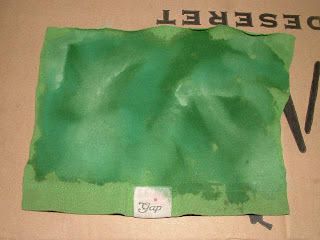 (This is what it looked like still wet.) Then I let it dry. 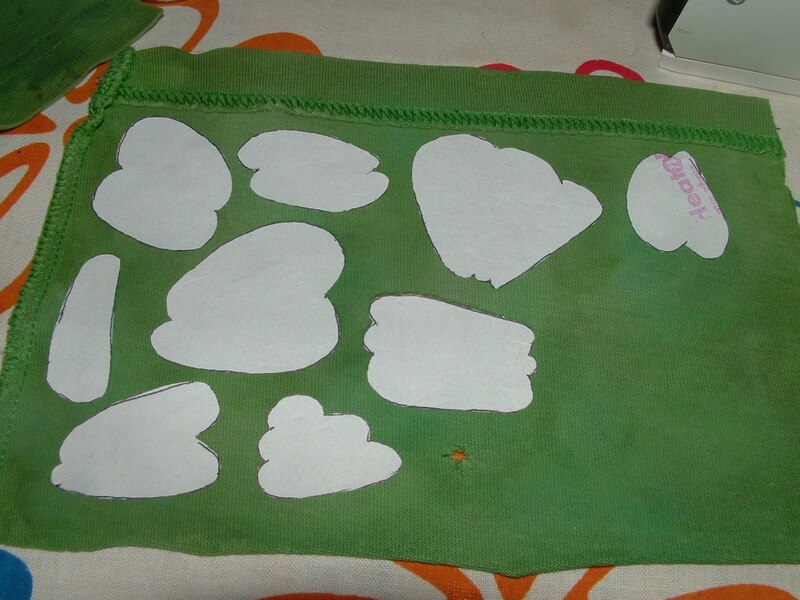 Then I cut them out again, peeled off the backing, and arranged them on the skirt fabric using the coloring page as a guide. (You want to make sure that each piece overlaps the next by just a little bit, so you don't have two raw edges right next to each other.) Then I did the same thing with the red face. I didn't have any red knit fabric, so the red is woven cotton fabric. 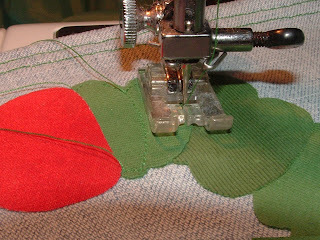 Here is where I started sewing, using thread that matched the color of the fabric. I made sure to leave long tails when I stopped and started, but did not stitch back and forth. 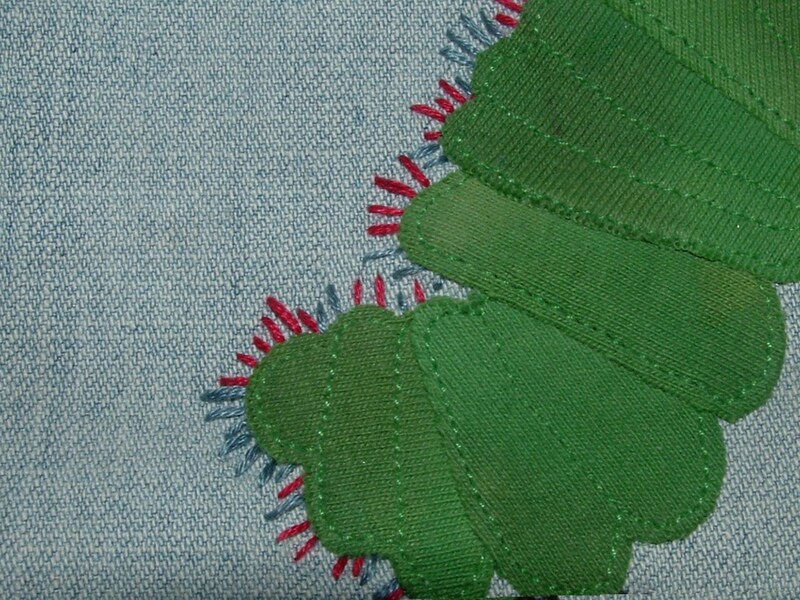 I also stitched each section as the caterpillar appeared in the picture, so as you can see in the picture below, I did extra stitching beyond just going around the edges. 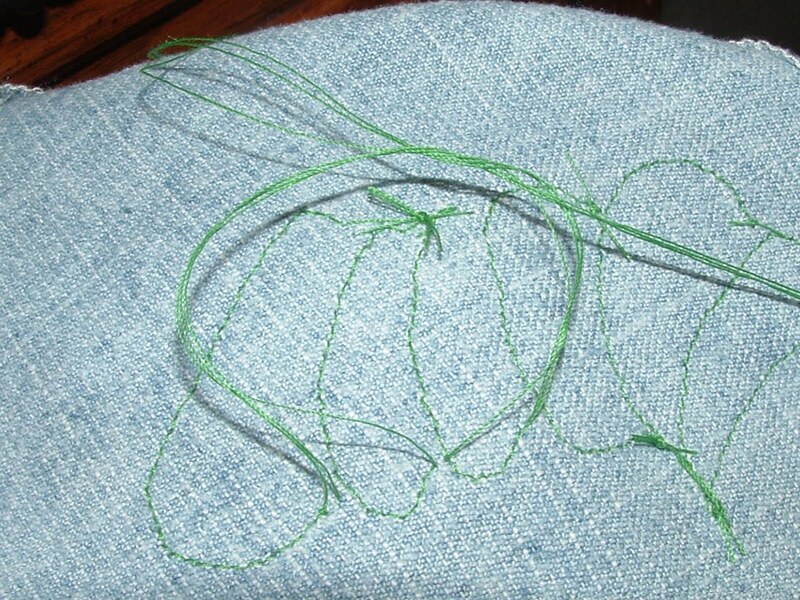 Once I'd sewed a couple of sections, I pulled those long tails through to the back and tied knots. You'll want to tie them several times and pull them good and tight. Then I added fray check to the red. You don't need to worry about the knits unravelling, but it is an issue for woven fabrics and the fray check will stop that. 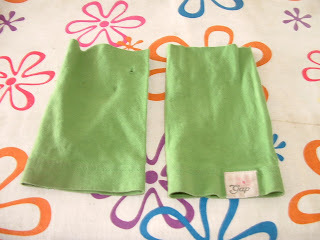 Then I sewed those down. You can see I did some extra stitching on the antanae to make it look more like in the picture. Just as an extra precaution, I also added some fray check to the knots I tied on the back. You wouldn't want to do this on a shirt or something that would be right up against the skin because it could be scratchy, but since it was a skirt, I figured it was a good idea. 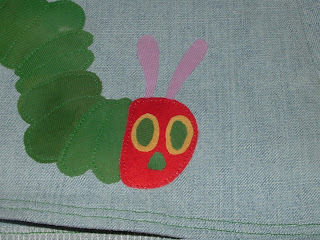 Then the last step was to add the feet and fuz details using embroidery thread. Check back soon click here for a tutorial for sewing the skirt. 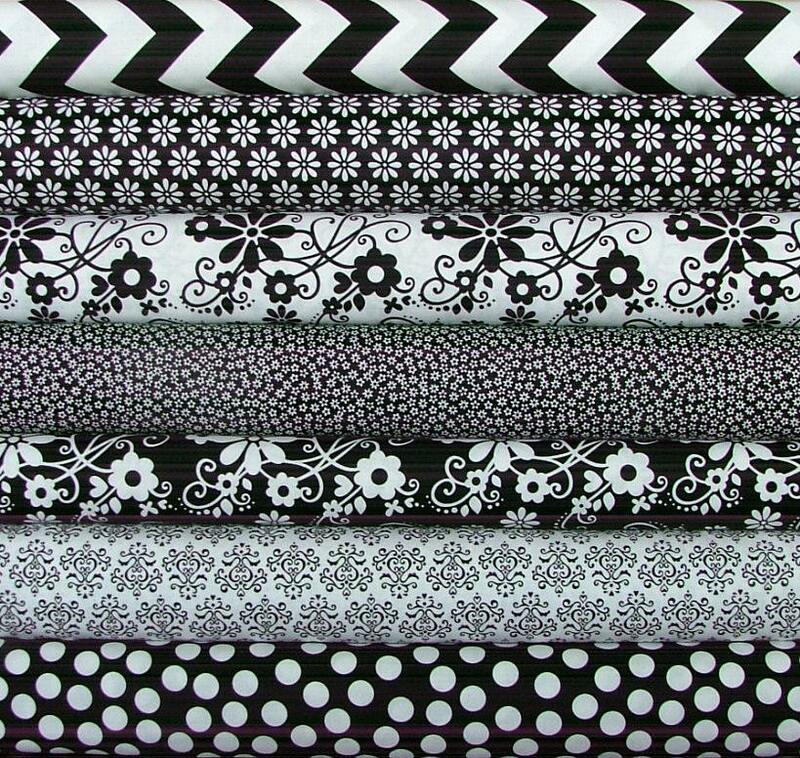 To use the pattern below, trace the dark outlined shapes onto your Heat'n Bond. Then see the original coloring page page to see how the pieces should fit. 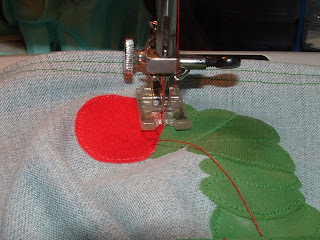 The dashed lines are places where you should do stitching in addition to stitching around the edges. The areas where there are hash marks are places where the previous piece will overlap. 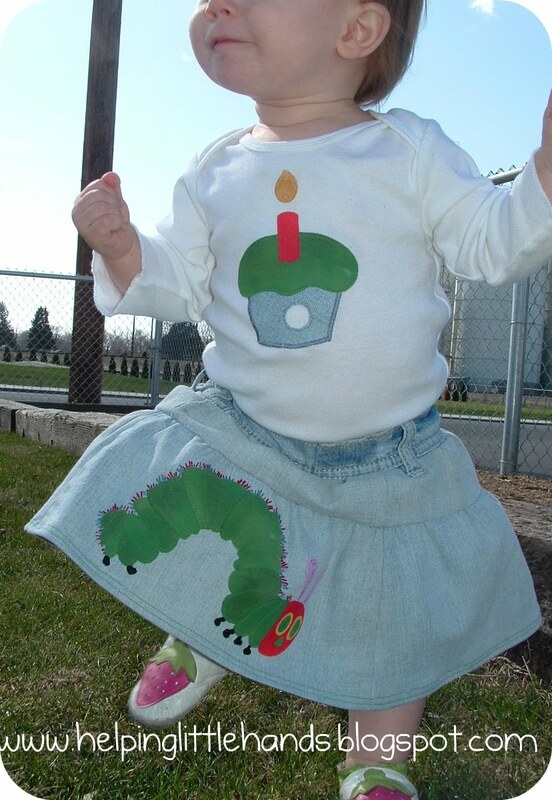 Click here to see the easy birthday cake tutorial that went with this. This is so adorable! Just what I was looking for. 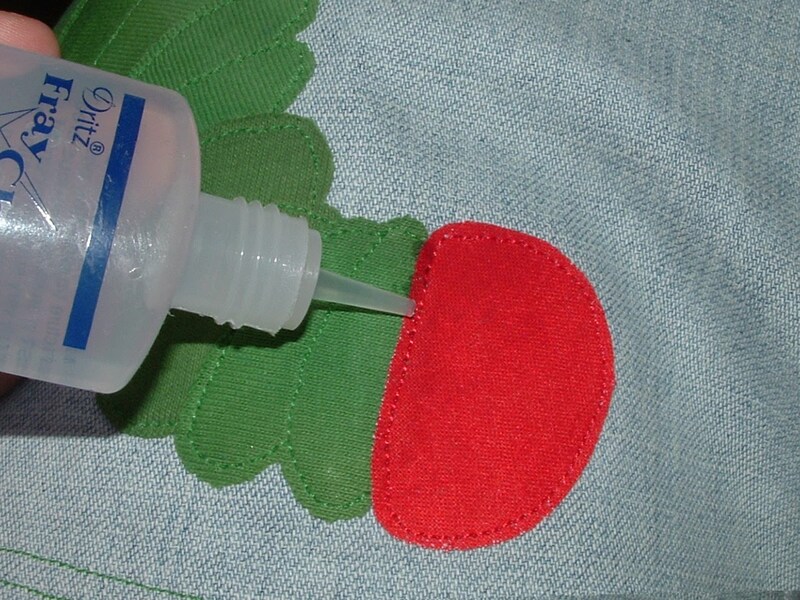 I have a bunch of shirts I want to try this technique on and your instructions are the most detailed. Thanks! 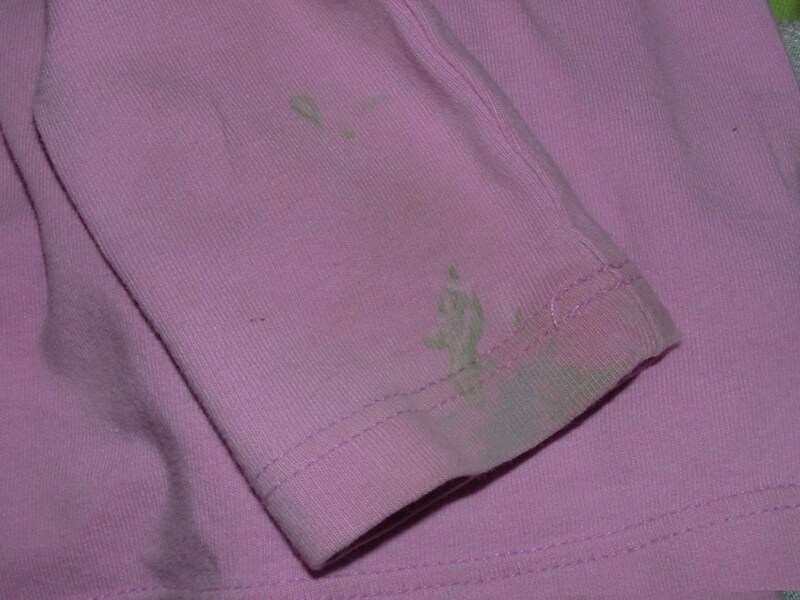 If you were doing it on a shirt should you use the wash away stuff on the back or do you have to? Also, did you just use a regular foot or the free/quilting foot? Panamamama - I'm so glad you like it! To answer your questions...I haven't tried the wash away stuff, so I'm not sure how it would work. 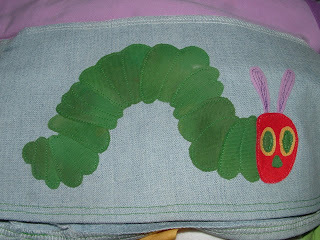 I'm guessing it would be okay for appliqueing knits since knits generally don't fray. 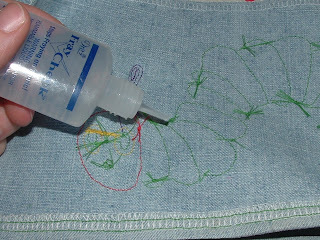 I don't think I would attempt it with woven fabric (like typical cotton quilt fabric) because that will fray and having it more permanently stuck on will help reduce fraying and help the Fray Check do it's job. 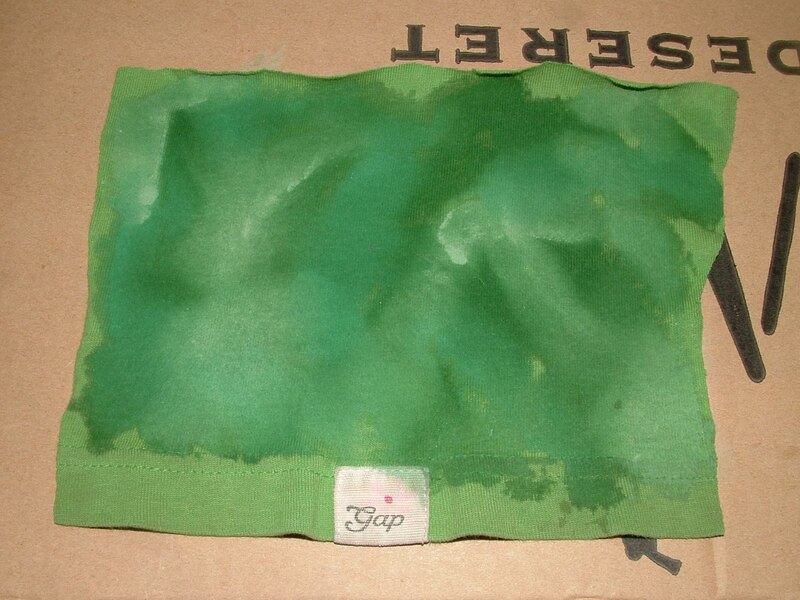 It can be helpful to use some kind of tear away stabilizer on the back. 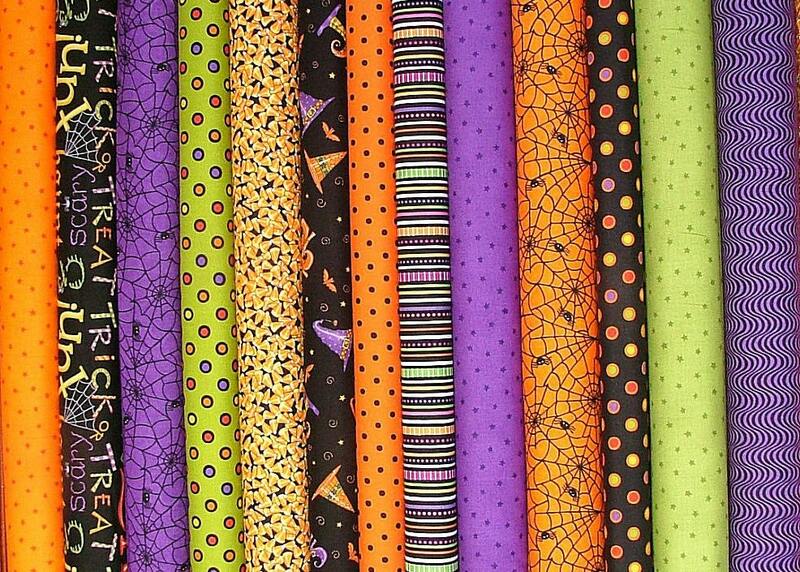 (You can find it in the notions section of a sewing store.) I haven't used it with my recent projects, but I use it a lot if I'm appliqueing for quilts. 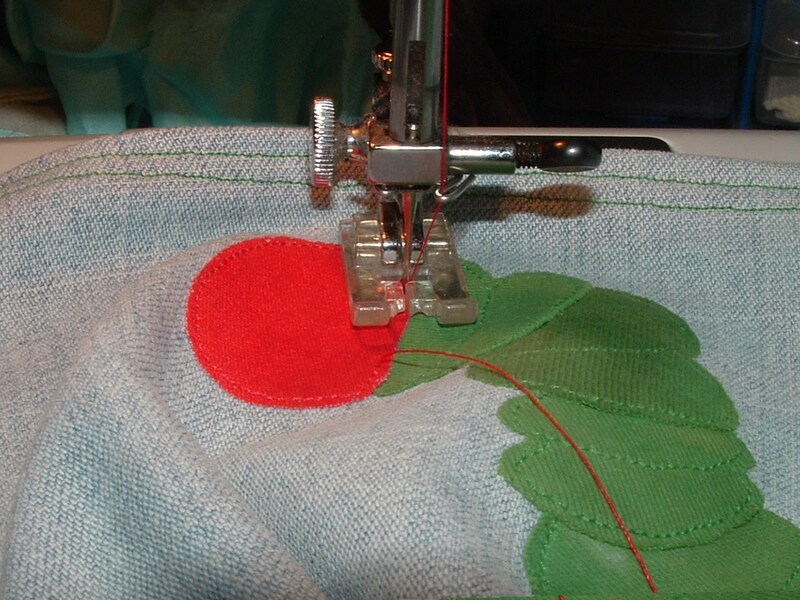 The thicker the fabric that you're decorating (the T-shirt or the skirt) the less need there is for stabilizer, and it's also not as necessary if you're doing straight stitch applique. I realized when I wrote up this tutorial, that I really need to do some basic tutorials highlighting each applique technique I use, so I can reference those for future projects rather than reshowing each technique everytime. Those will be coming in the next few weeks, so you can keep an eye out for those...and I'll have the cupcake pattern for the shirt out on Monday. This is outstanding! You did a marvelous job! If only I knew how to use my mom's old sewing machine! So cute!! 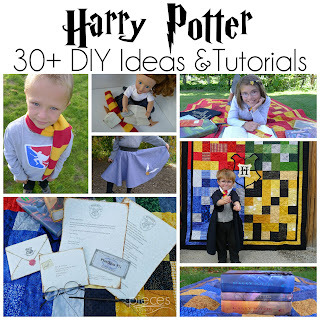 What a clever idea, and I love, love, love the way it turned out!! Cute! I just had a HC 1st birthday party! This applique is cute! Love this! My son keeps asking for caterpillar things...perfect! way too cute thanks for linking up! Can you still wash it, with the paint on it? 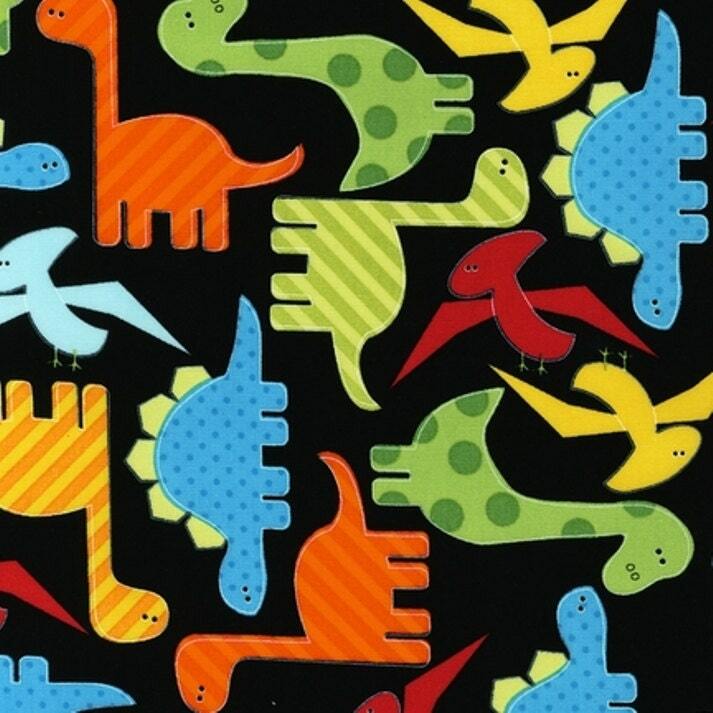 I'd love to use this to make a shirt and/or blanket for my son. 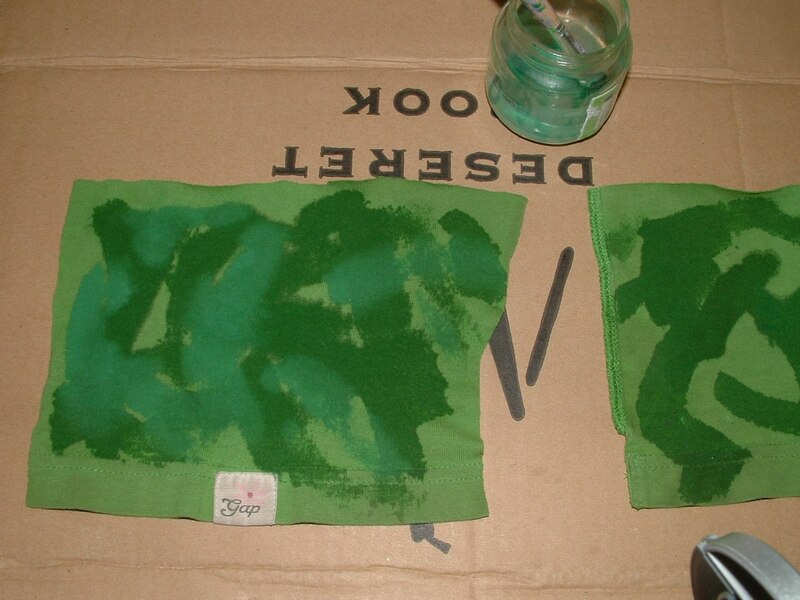 Yes, it's washable with the paint as long as you use something like acrylic that is permanent. Ok, I love this! 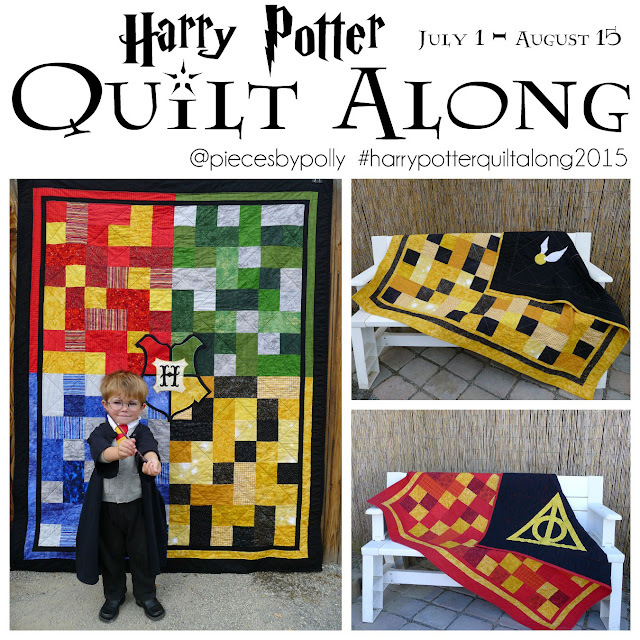 I just found your blog and am addicted! This is SOOO cute! You have the best ideas!